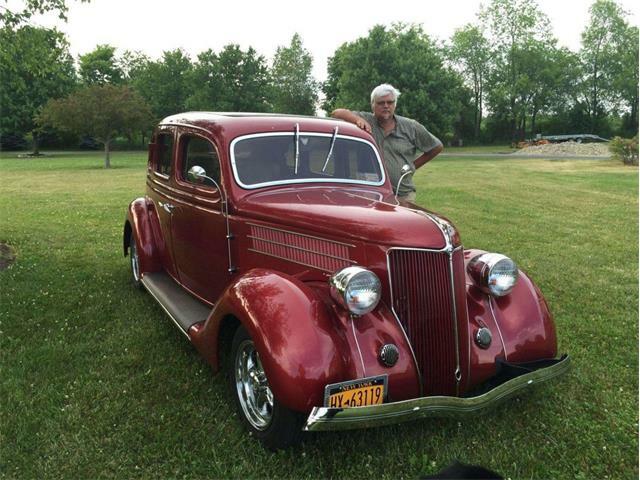 Collectors flock to pre-war Ford coupes and convertibles, cars that are ripe for hot-rodding. 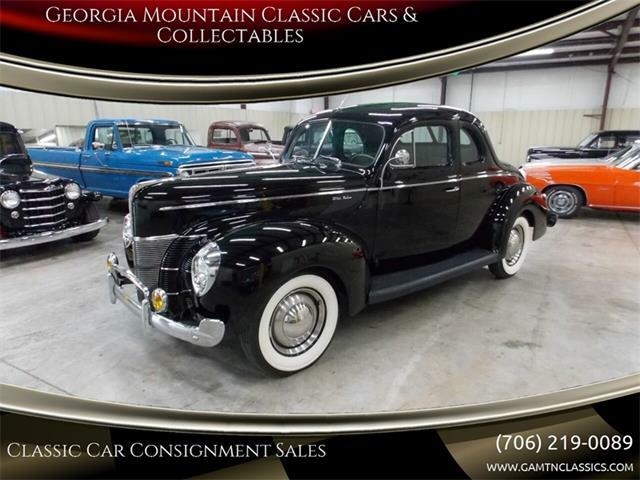 The Pick of the day is a pre-war Ford, but it’s a sedan, a 1940 Ford DeLuxe Fordor with a history of long-term ownership and storage. 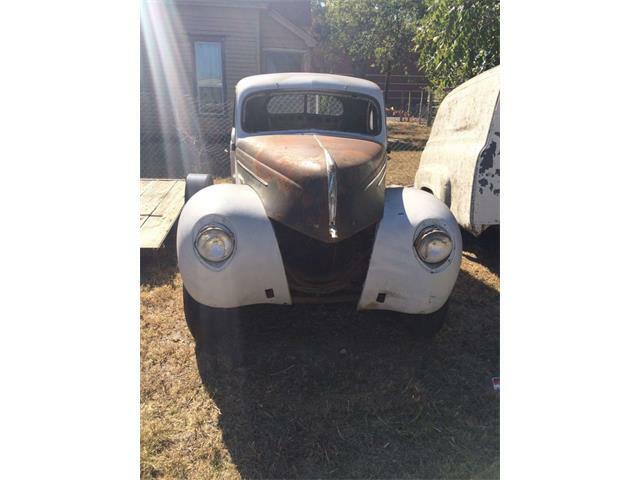 “Fresh out of the barn, amazingly complete and rust-free example,” says the private seller advertising the car on ClassicCars.com. 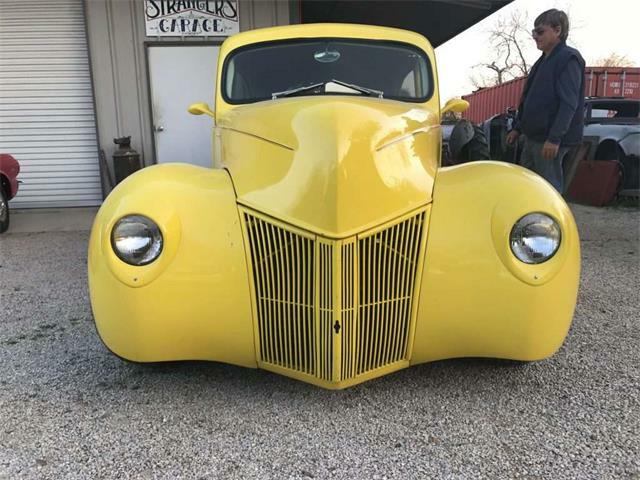 The seller purchased the car after it had been up on blocks in storage for 24 years, the ad says. 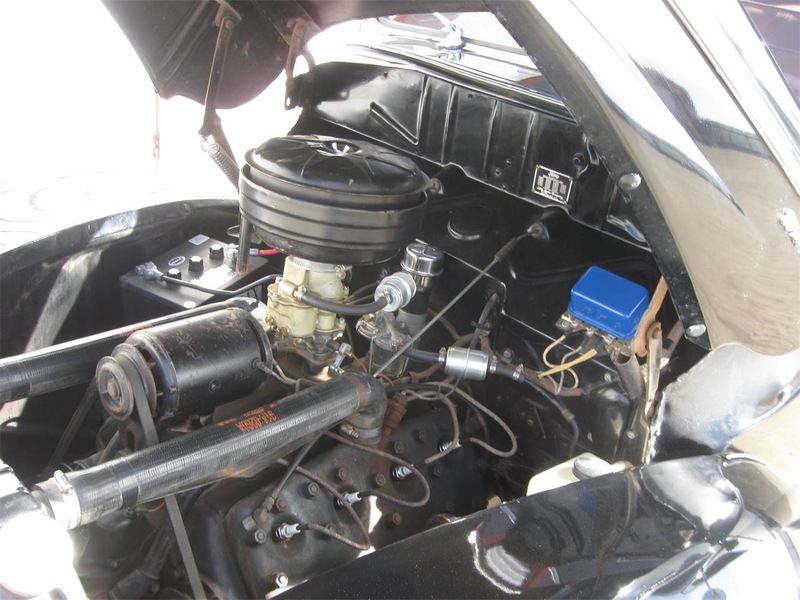 “When I bought the car, I replaced the battery, gas tank, blew out the gas lines, replaced the fuel pump and the carburetor. 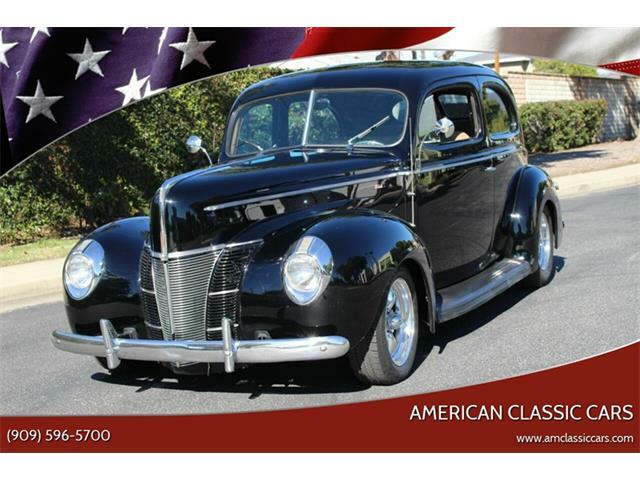 The car started right up and runs very smoothly,” the seller reports. “Although I was able to bleed the brakes and get a pedal, I decided to take it to Keith Fox, a car restorer in Lubbock, who replaced the master cylinder and rebuilt all four wheel cylinders. Keith could find no rust in the car, but did find one area on the lower section of the right rear fender that might have been body-worked at some point in the car’s history. 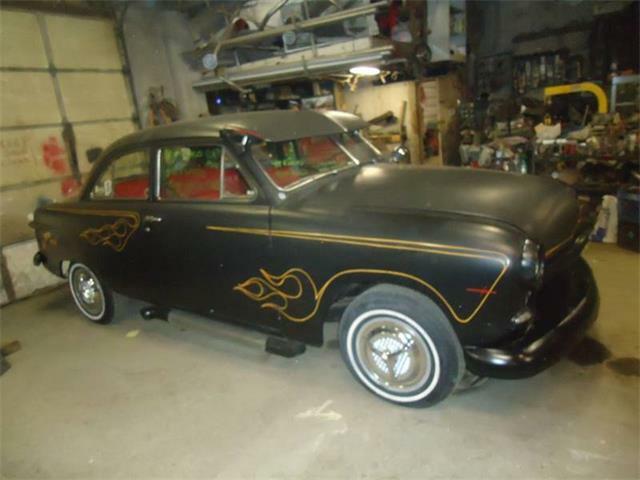 Keith believes that the car was repainted the factory black color sometime in the car’s past. “Some of the glass is bubbling but not cracked. Windows roll up easily. Dash is complete, including the radio with the roof mounted antenna. The odometer reads 60,393, but I cannot verify that as the original miles. Could be. 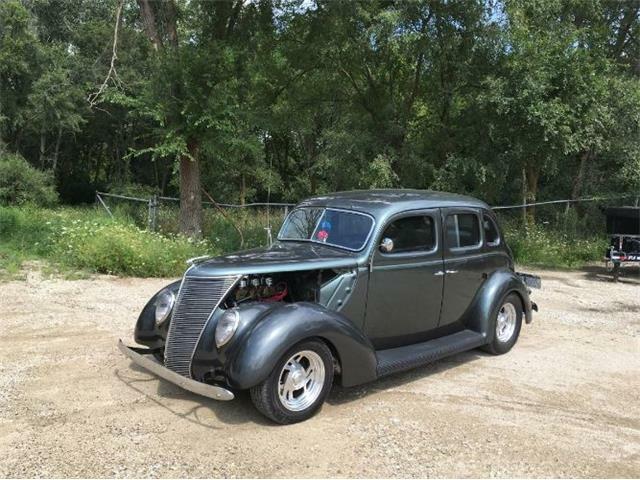 “Grille and bright work trim are very nice. Car still has what appear to be factory wooden covers for the tool storage compartments in the trunk. 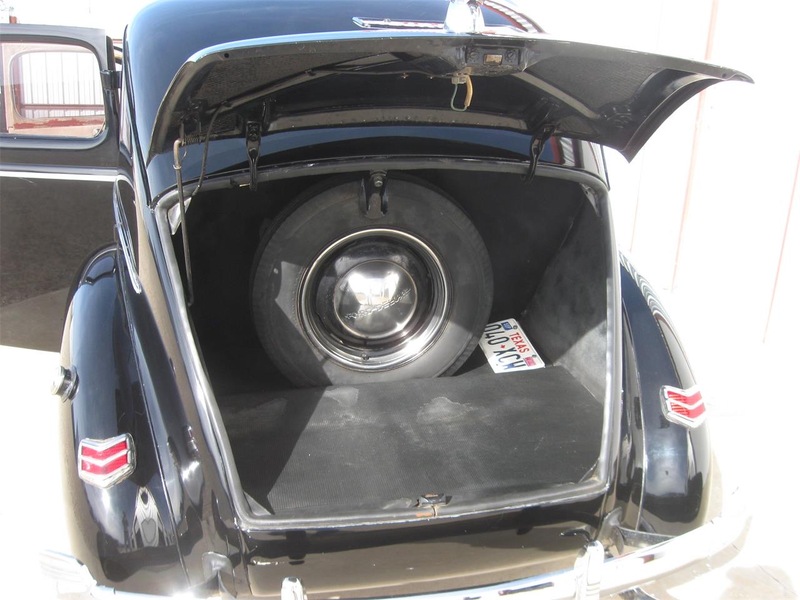 Spare tire is in place and holds air. 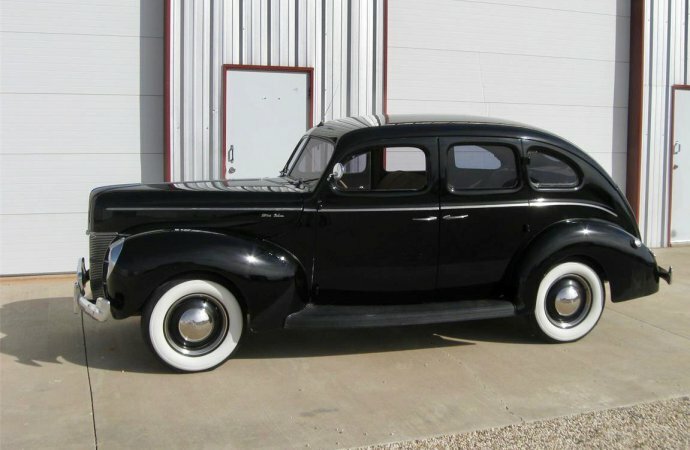 I have no idea about the age of the whitewall tires. I replaced the tube in the left front. 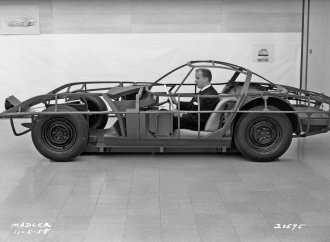 None touched the ground for 24 years that the car was on blocks. 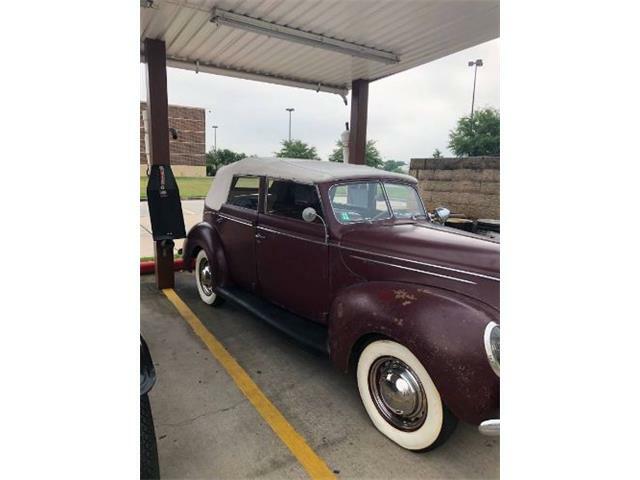 The seller sought to determine the car’s ownership history and learned the car was first sold on July 25, 1940, by Jones Sales company of Gordon, Texas, and was purchased by Charles C. Hamilton of Palo Pinto County Texas, who paid an $8.10 fee for license plates. 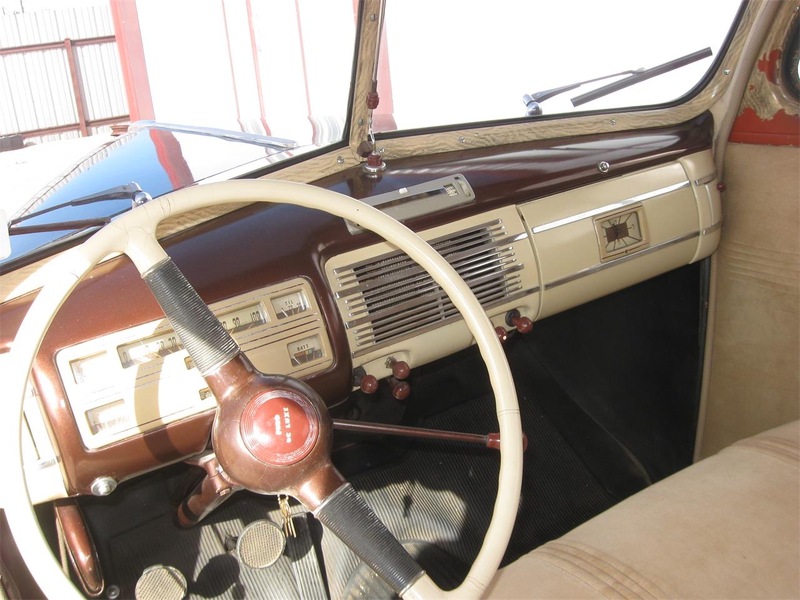 In 1968 or 1969, Hamilton sold the car and it was owned until 1991 by James E. Long, who sold it to Gerald O. Hill of Lubbock. Hill apparently drove the car until 1995 and then put it into storage. 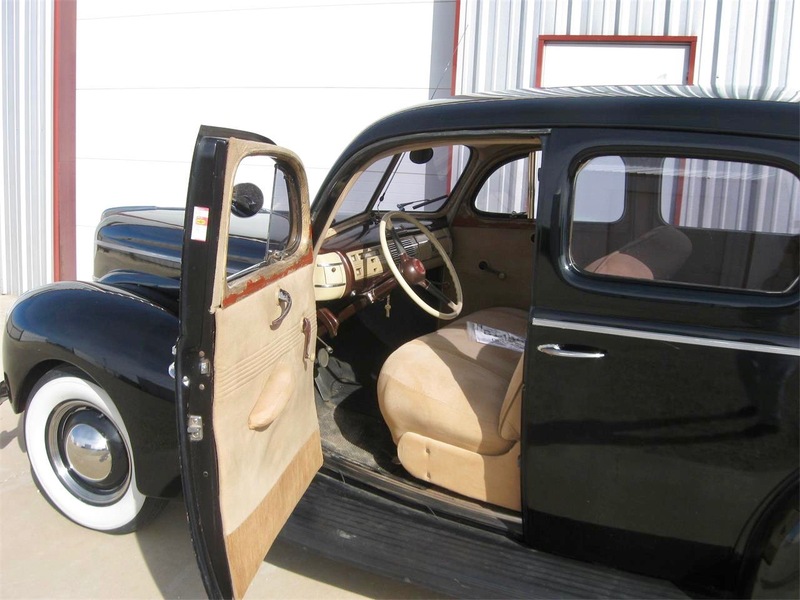 All 1940 Fords had V8 engines and 3-speed manual transmissions. 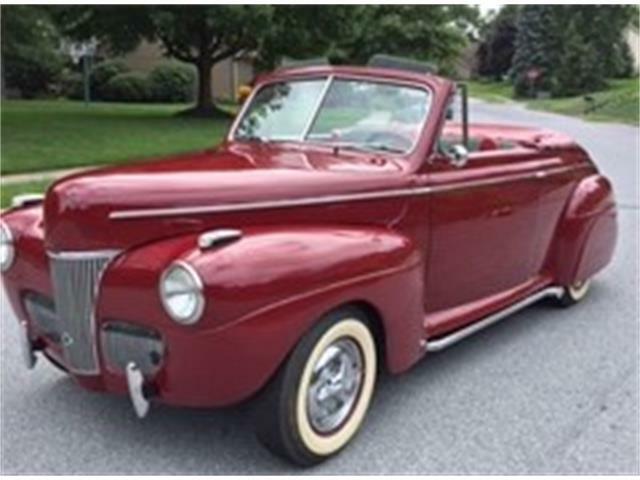 The seller reports the engine is original to the car. 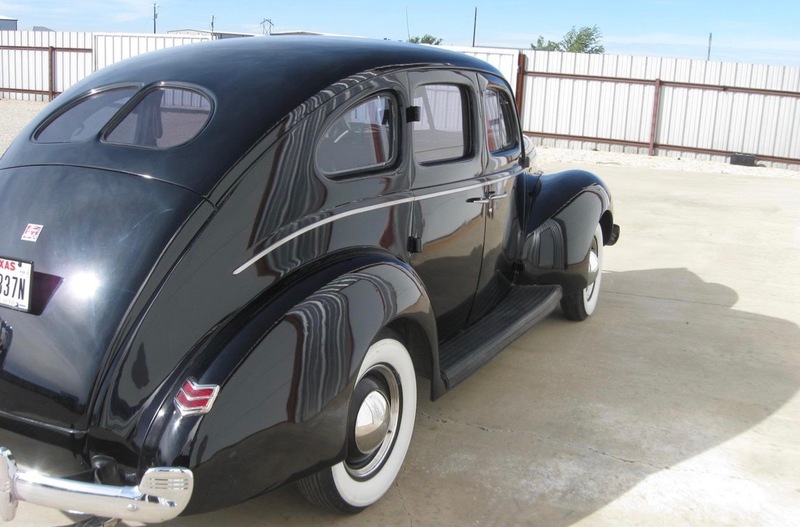 The car is in Lubbock and the asking price is $25,000. 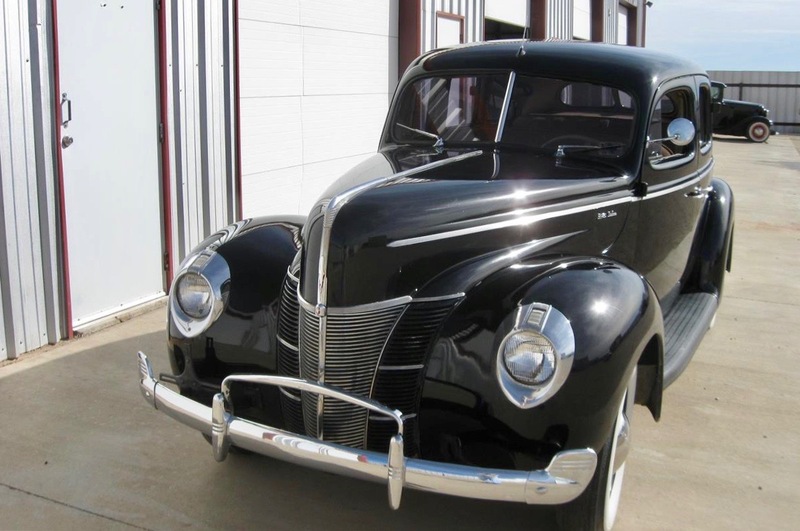 The 40 Ford car is beautiful. 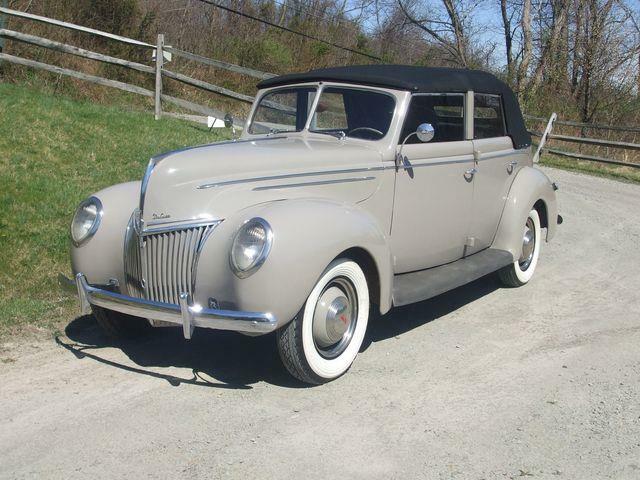 Do you have a 1948 Ford available?